Continuing from the previous article where I talked about how you can plan your trip to Spiti valley in 14 days; in this article I will suggest how to draft an ideal Spiti Valley 15 days itinerary. To be honest, there will not much difference in a 14 or 15 days itinerary for Spiti; but yes, adding another day to the travel plan will definitely open a few possibilities to explore a little more. The itinerary that I am actually suggesting below is actually what I prepared for a family who recently drove on the Spiti circuit. They followed this travel plan and were able to complete the journey successfully. I am copy pasting the itinerary here for everyone’s information. If you were planning to visit Spiti in near future and have a total of 15 days for the trip, you too may travel in the following manner. For the sake of this article and the itinerary; I will assume that you are coming from Delhi. If your starting point however is different, then the journey for just first and the last day will be different. For remaining days, it will still remain the same. Your final travel plan will of course depends on several factors like how are you traveling; alone or in a group; is there any budget restriction etc; but the details below should give you a fair idea on this journey can be completed. You may not be able to follow the itinerary below to the last detail but will at least be on your way to draft your own. If, after reading the article, you have any other questions, then you may ask in the comments area towards the bottom of this page. I will start the itinerary below from Shimla and end it at Manali. This is usually considered as the “traditional” and probably the best way to travel to Spiti valley. Biggest reason behind this is that when you go from Shimla; the gain in altitude is gradual and by the time you reach Kaza, your body had already acclimatizes to high altitude. This way, chances of acute mountains sickness are almost next to none. If you are with family, then it is highly recommended that you start your journey from Shimla only. This of course is just a sample travel plan. The journey can be completed in multiple other ways. A different version of the itinerary can be as mentioned below. The first itinerary focuses spending more time in Kinnaur and Spiti valley; and just leaves 2 days to explore Lahaul valley. 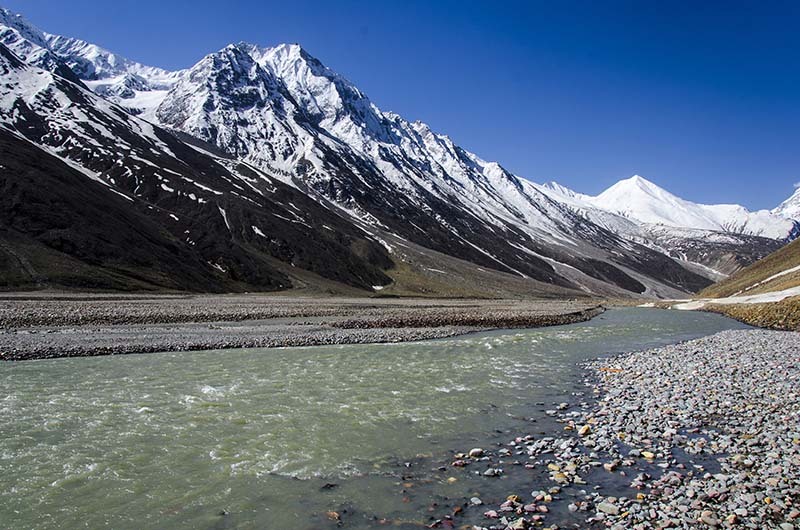 The second itinerary however gives you ample time to explore 4 valleys; Kinnaur, Pin, Spiti and Lahaul. Thing with both the itineraries above however is that they can only be followed when Manali Kaza route is open as well; which is only from late May to early October. But what if you were traveling at a time when Kunzum pass was blocked completely? In that case, you may follow the itinerary as mentioned below. I hope the information above on an ideal Spiti valley 15 days itinerary was of help. If you have any other questions; or need any further details; please feel free to ask in the comments section below; or at our Community Forum; and I will be glad to answer. Chandratal is already close for the year Vayu. Manali to Kaza is open right now now but it can get closed anytime now.